Open the Uber app today in Austin and you'll be in for a surprise: The app simply says, “NO PICKUPS as of May 9th… Due to regulations passed by the City Council, Uber is no longer available within Austin city limits.” That's right. No Uber. Texans (and visitors) needing a ride around Austin will now have to walk all the way to a corner, tell a driver where they need to go instead just inserting the address in an app, and pay using real, paper money. It’s a grim scene for any city with tacos this good. Both Uber and Lyft stopped servicing Austin following a vote Saturday that would not exempt them from new regulations, including the fingerprinting of drivers. Voters voiced their support for the fingerprinting measure 56% to 44%. Uber and Lyft, for their part, contend these rules make it difficult for them to follow their current business models. Uber is unavailable in Austin's city limits as of May 9th. Rides still available in surrounding cities. Both ridesharing services had previously been allowed to self-regulate in the city, but in December, the Austin city council passed a set of rules that included the fingerprinting measure, something both companies opposed because they had background check systems in place already and nothing ever goes wrong when industries are allowed to police themselves. Between the two services and other campaigners on their side, opposition to the law change spent more than $8.1 million, according to the Austin American-Statesman, in a blitz burying voters with mailers, ads, phone calls and text messages. That's a record amount for an Austin ballot proposal, and a lot of money to spend for a business that argues its model won't survive fingerprinting. In the end, the blitz wasn’t enough. Included in that opulent blitz were some questionable assertions about what the failure of Proposition 1 would mean, as highlighted in this KVUE segment. This is the first major ruling against the ride-sharing services -- or other major sharing economy apps like Airbnb -- and will be seen as a victory for taxicab services in the city. It's not likely to be the last of these battles, either. 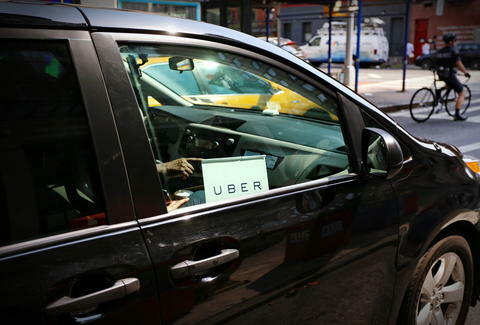 Uber has already announced plans to leave Houston over similar rules, and other community economy services like Airbnb have been contentiously debated around the world. Previously, Uber left San Antonio over similar rules, but returned months later when the rules were made voluntary. With both companies pulling out of Austin on Monday, it'll definitely be tougher to get around for a few days. However, if they continue their “I’m picking up my toys and leaving” philosophy of negotiating, it might leave a vacuum for companies like GetMe and Wingz to take over some of the market. People need rides and drivers need work. Something's gotta give.